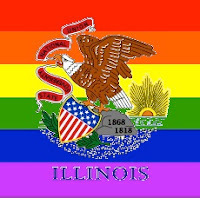 Update: The Illinois General Assembly ended its current session without passing SB10, their marriage equality bill. Filmmaker Alexia Kosmider is producing a powerful new documentary "TransJourney" that will change peoples’ perceptions about gender, family & belonging. In her memoir, "I'm Looking Through You: Growing Up Haunted", transgender author Jenny Finney Boylan quotes her mother with a saying: "It is impossible to hate anyone whose story you know." This documentary intends to do just that. The plan is to Travel in Sandra's minivan from Rhode Island to Seattle, the film crew will capture Sandra's & Shannon’s first meeting & film Annabelle's & Shannon's lives. Tell a story--several stories to be exact. The film will show the world that people who identify as transgender are no different than anyone else. Their gender identity is only one aspect of who they are & does not define them. Transgender men & women share the same hopes & dreams as everyone else. But they can't make this film without our help. 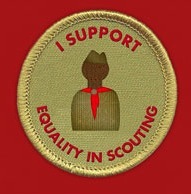 Now is your last chance to contribute to their campaign on Indiegogo. The TransJourney Indiegogo campaign ends tomorrow May 31st & they need your help. 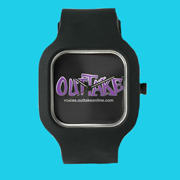 A $10 donation will help pays tolls, buy gas or food for the film crew while they make their cross-country journey. Once the film is completed they plan to hold premiere screenings of the documentary at film festivals. In addition, their goal is to screen "TransJourney" at colleges & universities throughout the U.S. & internationally. They’ll need help to cover costs associated with travel, marketing & film festival premieres. This Memorial Day we remember our gay & lesbian service members & their families as they continue to serve our country. 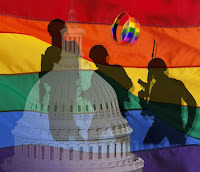 Even after the repeal of ‘Don’t Ask, Don’t Tell’ our gay & lesbian military are still confronted with the Defense of Marriage Act (DOMA) that forces the military to treat legally married gay & lesbian service members & their families differently than it treats all other married service members & their families. Ashley Broadway of the American Military Partner Association, the nation’s premier resource and support network for LGBT military families stated, “For far too long, our LGBT military families have been treated as if they aren't important & as if they don't matter. We serve our nation, but without the same support & benefits needed to care for our families. For the sake of our children & family readiness, we must end the discrimination & exclusion caused by DOMA.” Next month the US Supreme Court will rule on the unconstitutionality of DOMA & California’s Proposition 8. 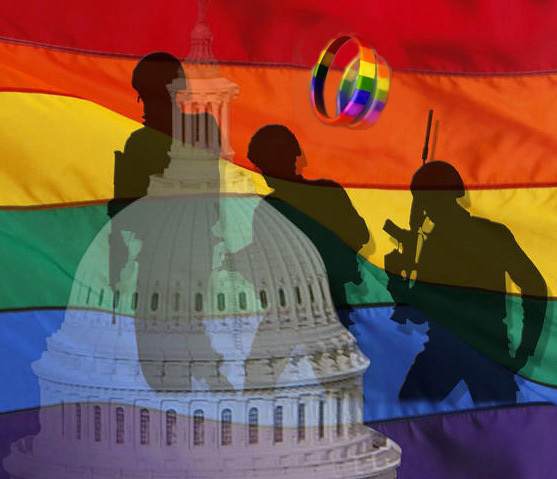 As we wait for this decision with nervous anticipation we want to remember all those who have paid the ultimate price for our freedom especially our gay & lesbian service members & their families who pay a price every day as they serve our country without the 1100 rights & protections that their straight counterparts receive. It’s time to end the so-called Defense of Marriage Act & honor these brave patriots by treating them equally. 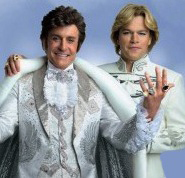 We’re looking forward to Steven Soderbergh’s HBO movie “Behind the Candelabra” starring Michael Douglas as gay icon Liberace & Matt Damon as Scott Thorson his poor choice in young men. The legendary Debbie Reynolds also appears as Liberace’s overbearing mother. Some journalists are saying this film comes off like a Jim Crow version of gay life & you just can’t get your mind around fear & secrecy that defined gay men back in the 1980’s. However we’re still looking forward to seeing these 2 straight men make the attempt of portraying this iconic gay couple even though Matt Damon who’s 42 plays Thorson from the age of 18 to 29, could be a bit of a stretch. 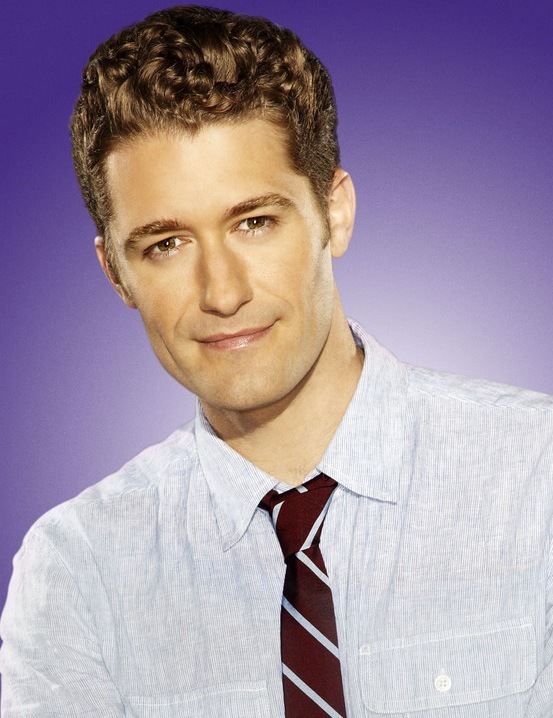 We know from seeing Michael Douglas on the TV series “Will & Grace” he was almost seamless as a gay man so portraying Liberace has to be a treat. Let’s go into this with an open mind & either be entertained or horrified. After all the screenplay is based on a tell-all book of the same name by Scott Thorson who was Liberace’s live-in lover, chauffeur & houseboy. It was released a year after Liberace died in 1987 & was received as an act revenge penned in the wake of a bitter legal dispute. So watch it with a gain of salt but enjoy the glamorous glitz & glitter of a time when being gay was very much still in the closet. The 2 hour “Behind the Candelabra” airs Sunday at 9P on HBO. The Provincetown International Film Festival (PIFF) which takes place in Provincetown, MA from June 19th to 23rd has announced their 2013 honorees. 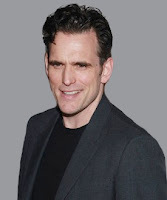 Matt Dillon will receive the Excellence in Acting Award sponsored by American Express, Ed Lachman cinematographer of such great film as “Far From Heaven” & “Erin Brockovich” will receive the Faith Hubley Career Achievement Award sponsored by the Mallrd Foundation & Harmony Korine will receive the Filmmaker on The Edge Award sponsored by the Coolidge Corner Theatre Foundation. PIFF is celebrating its 15th anniversary with a few of its past fabulous celebrity honorees including openly gay directors Todd Haynes, Rob Epstein, Jeffrey Friedman, John Waters & producer Christine Vachon just to name a few. The Opening Night Film will be “Lovelace", the Friday Night Spotlight selection is “I Am Divine” the new documentary by Jeffrey Schwarz who told me last month that he will be attending as well. This is the 6th year we’ll be covering PIFF for OUTTAKE VOICES. Presenting Sponsors of the 2013 Festival are HBO, Crown & Anchor, MALLRD Foundation, Bubala's, Local 186, Xfinity, Ultra & Official Card: American Express. PIFF is also supported by grants from The Academy of Motion Picture Arts & Sciences, The National Endowment for the Arts, Massachusetts Cultural Council, Provincetown Tourism Fund & the GALE Fund of the Cape Cod Foundation. 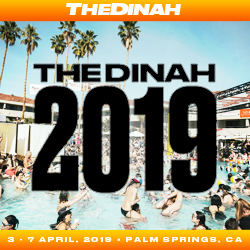 Tickets go on sale Friday, May 25th & festival passes are on sale now. Passes are the best way to go to insure you won't miss any of these great films & events. 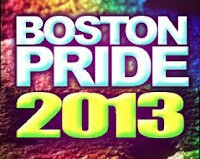 Boston Pride has announced the first ever Pride Night at Fenway Park as an official 2013 Pride Week event. Boston’s LGBT community will be recognized at the Boston Red Sox vs. Texas Rangers baseball game at Fenway Park on Thursday, June 6th at 7:10P. 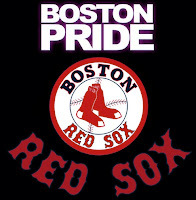 Linda DeMarco Boston Pride President stated, “Boston Pride is delighted to be working with the Boston Red Sox on Pride Night at Fenway Park. 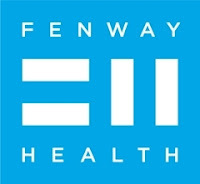 The Boston Red Sox are a strong ally to the LGBT community & to have a special Pride Night brings additional excitement to the week’s events.” In addition to Pride Night at Fenway Park, with the emergence of support for inclusivity of the LGBT community in major league sports, Boston Pride’s Human Rights & Education Committee will host a discussion free of charge & open to the public entitled “Out In Sports: Moving Forward – A Panel Discussion on LGBT People in Sports” as a part of Pride Week on Wednesday, June 5th at the Boston Public Library at 6:15P. This is a fab way to kick off Boston Pride. Tickets for the game are $30. 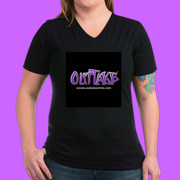 We already have ours & at that price you know they'll sell-OUT fast. 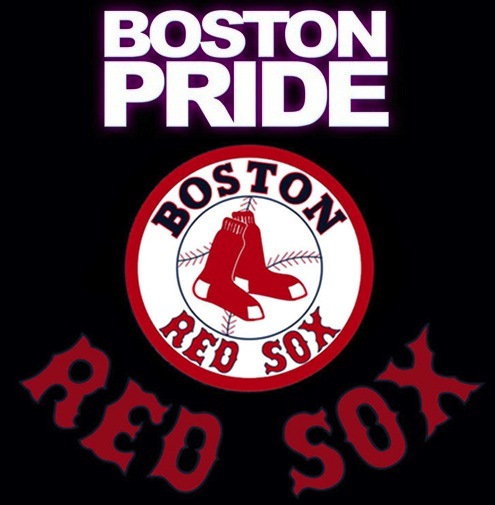 The Red Sox will also donate a percentage of tickets sales for Pride Night at Fenway Park to benefit Boston Pride, a nonprofit, 501 © 3 corporation. On April 3rd 1978 I was in Florida with my then girlfriend. We had intended to stay the night with a relative who turned out to be so anti gay & homophobic we had to leave & find a hotel. Two things happened that night that forever changed my life. First was when I turned on the TV in the hotel/motel room & caught “Cher... Special” that aired on ABC. This was one of the most groundbreaking & brilliant TV shows ever, about thirty years ahead of its time. Especially one skit where Cher performs "West Side Story" & portrays all the characters, both male & female beautifully edited together. I was totally blown away that this fabulous drag masterpiece was airing on primetime network TV. (See 12:44 Video Below) The second thing that happened was we went to see the movie "Network". I had worked in the television industry in Boston at WCVB the ABC affiliate but left when they changed their commitment to original programing. After seeing what Cher had accomplished on her TV special & watching the movie version of Paddy Chayefsky’s "Network" predicting the future of TV, I decided it was time to return mainstream television. 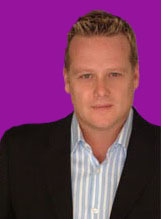 Within six months I was working for network TV in New York where I won by Emmy award. But the magic of my Cher story continued. 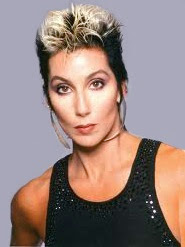 In 1985 at a party for the MTV awards I got to meet Cher in the Mike Todd VIP Room of the Palladium in NYC & tell her how brilliant her "West Side Story" was. She was so appreciative & I must say the most genuine celebrity I have ever encountered. Happy Birthday Cher & thank you for changing my life. Marriage Equality USA is having its 15th Annual National Gala honoring Lea DeLaria, Google & Swish on Tuesday, May 21st from 6-10P at 404 NYC, 404 10th Avenue in New York City. The event will bring together LGBT community members & leaders, gay allies, entertainment industry, corporate leaders & celebrities to raise funds for the marriage equality movement. 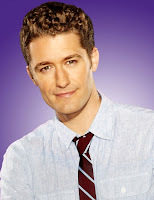 Stephen Wallem from Showtime’s Nurse Jackie will emcee & NBC’s “The Voice” finalist Vicci Martinez will perform. Guests will enjoy a celebratory evening of cocktails, dinner, entertainment, awards, a silent auction & more! Lea DeLaria stated, "As an out performer this issue is incredibly personal to me, which is why I have proudly supported both the cause & Marriage Equality USA (MESUA) for many years. It is an honor to be recognized by my friends at MEUSA." Cathy Marino-Thomas, Marriage Equality USA Board Co-President added, "On Tuesday May 21, on the verge of historic rulings in the landmark marriage cases before the U.S. Supreme Court, our community will gather in New York City to celebrate how far we've come & to acknowledge the leaders who are going the distance to make sure the constitution's fundamental guarantees of freedom and fairness apply to all Americans. Boston Pride has named fierce gay ally Mayor Thomas Menino Grand Marshal of this year’s Pride Parade. The late Jeanne Manford PFLAG's Founder has been chosen as Honorary Marshal. 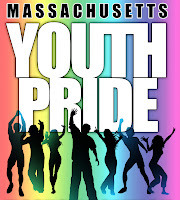 Linda DeMarco Boston Pride President stated, “We are excited to name Mayor Menino as Boston Pride’s Grand Marshal this year. 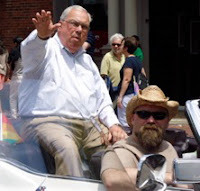 As this is Mayor Menino’s last year serving as our city’s mayor, we are thrilled that he will be leading the Boston Pride Parade as it is a way for everyone to thank him for being a passionate supporter of Boston Pride & our LGBT community throughout his tenure.” Boston Pride Week 2013 will be held from May 31st through June 9th. This year’s theme is “Moving Forward… Proud, Strong, United”, especially fitting after dealing with the Marathon Bombing. 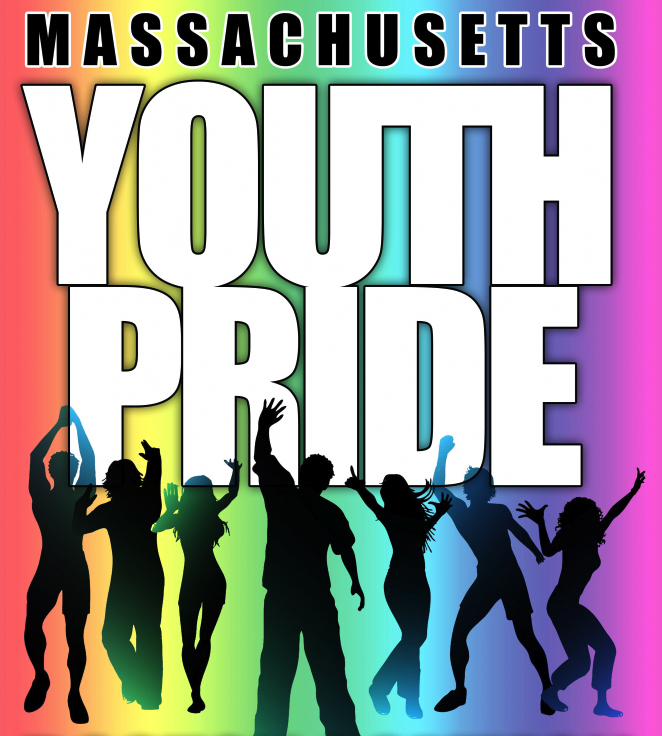 The Boston Pride Parade is to celebrate & promote equal rights for the region's gay, lesbian, bisexual & transgender communities & is the premier event of Pride Week. 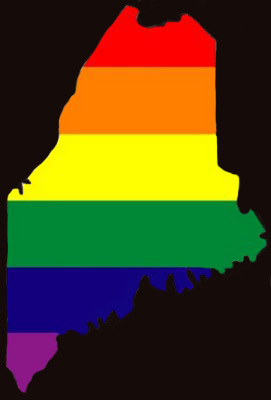 As one of the most popular Pride Parades in the country, organizations & individuals from around New England & beyond will walk together to advocate for inclusivity, equality & respect. Kicking the week off with the annual Flag Raising ceremony, 2013 Pride Week will also include Pride Day @ Faneuil Hall, the Royal Pageant, the Boston Pride Parade, the Boston Pride Festival, the Boston Pride Youth Dance, the Boston Pride Block Party: JP Edition, the Boston Pride Block Party: Back Bay Edition, a panel discussion on “LGBTs in Sports” & the first ever Pride Night @ Fenway Park. The New York Legal Assistance Group’s LGBT Law Project & the LGBT Bar Association Foundation of Greater New York (LeGaL Foundation) have been awarded a $9,000 grant from the Stonewall Community Foundation in support of the organizations’ LGBT Life Planning Clinic. The LGBT Life Planning Clinic assists community members of modest means with the preparation of long-term life planning documents, including health care proxies, living wills, wills & powers of attorney. As a result of the grant award, the clinic is now held regularly each Tuesday night at The Center in the West Village. 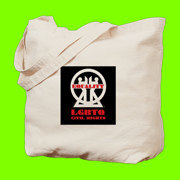 Virginia Goggin, Coordinating Attorney of NYLAG’s LGBT Law Project stated, “We’re so pleased to receive this support. The grant not only enhances our ability to serve the community but also further strengthens our organizations’ collaboration.” Brad Snyder LeGaL’s Executive Director added, “We’re thrilled to see a service that began as a pilot project receive the support needed to expand. 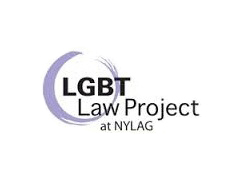 We’re looking forward to reaching more community members throughout New York City.” The clinic was created in response to the increasing need for life planning documents, which are vital to ensuring the greatest protections possible for the LGBT community in the face of continuing inequality under the law & ever-changing legal developments. 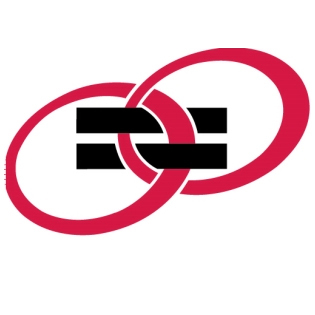 The law firm of Orrick, Herrington & Sutcliffe LLP, a generous supporter of both organizations, will host a May 20th CLE for attorneys interested in volunteering for the project. Then on Friday May 17th keep the celebration going by attending “The Bear Sessions: Portraiture” a series of photographs being showcased at the Boston Center for Adult Education. BCAE is premiering the show with their second annual LGBT “Sip the Rainbow” cocktail reception from 6P-8P on May 17th. The exhibit runs through June 2013. Let's Celebrate! !